Owners and Directors of the Company are Sir Richard and Lady Carol Hayes. Hayes has over 40 years and over 30,000 hours flight experience and is renowned for extraordinary feats of search and rescue in the Southern Alps, the Subantarctic and Southern Ocean. Heliworks have a modern fleet of aircraft and expert crews representing an average of 17 years’ experience both internationally and within New Zealand, including Fiordland, Mt Aspiring, Mt Cook and Queenstown regions. We provide services to search and rescue, filming, tourism and precision lifting. Safety is the priority above all other considerations. 1. Our base at Aoraki/Mt Cook Airport. 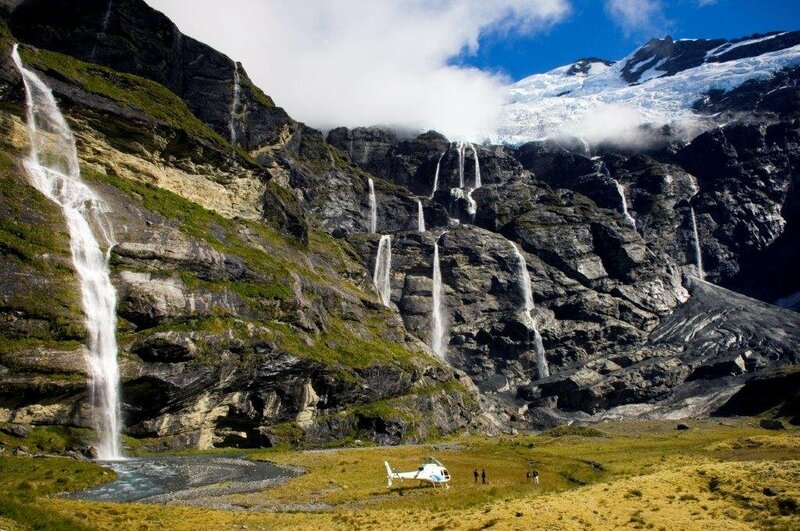 Heliworks hold the concession for scenic landings on the Tasman Glacier, which is included in all flight options. These locations provide experiences beyond expectation!